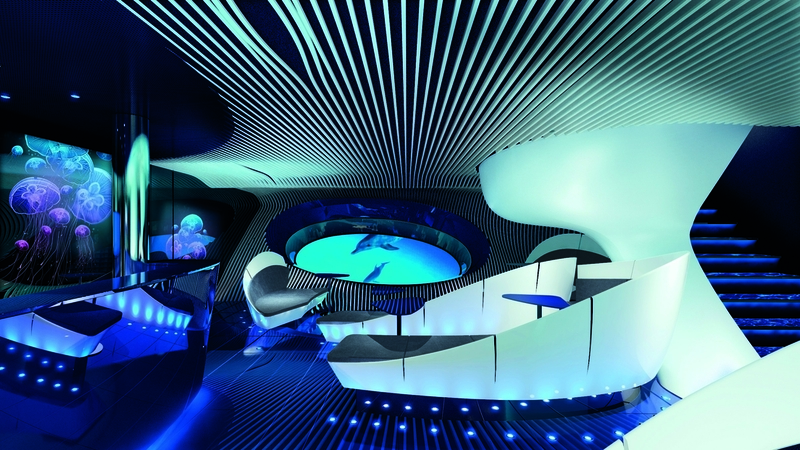 French cruise ship operator Ponant will launch a multi-sensory underwater lounge in 2018. With Blue Eye, Ponant cruise passengers will be able to see and hear the sights and sounds of the ocean. 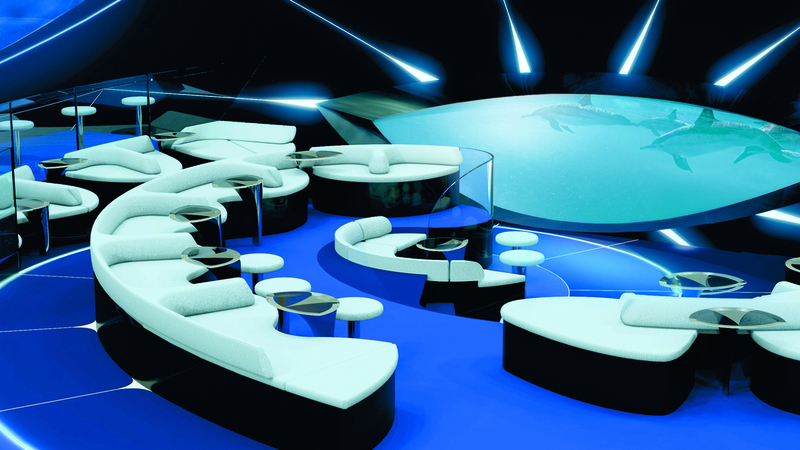 Ponant, in keeping with its pioneering spirit, is launching a world first: Blue Eye, a multi-sensory underwater lounge—located within the ship’s hull, beneath the water line—that will enable guests to see and hear the sights and sounds of the ocean. The lounge will feature two glass portholes meant to mimic the eyes of a whale looking out into the water, a series of screens projecting live images of the sea around the ship, and the sounds of the deep sea, which will be piped into the space via hydrophones. Le Lapérouse will be the first cruise ship with Blue Eye when it launches in 2018. With Blue Eye, Ponant cruise passengers will be able to experience the ocean in a whole new way. Photo courtesy of Ponant/Jacques Rougerie Architecte.